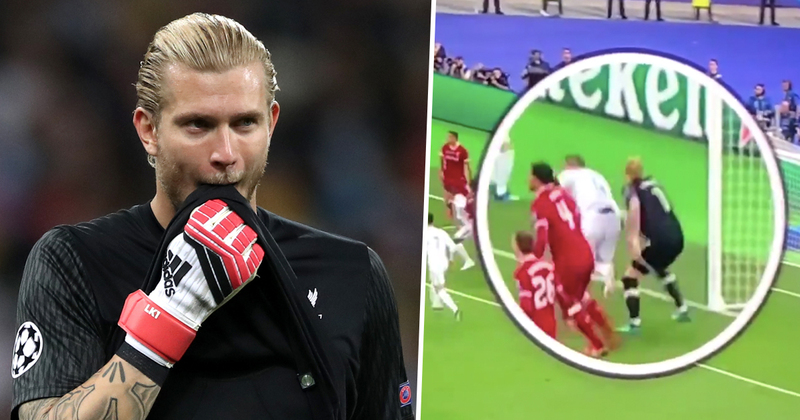 Mia Khalifa has come out in support for Loris Karius after last night’s shocker in the Champions League Final (May 26). It wasn’t a great night for the Liverpool goalkeeper, as he suffered one the biggest falls from grace the game has ever seen. From hero to zero in the space of minutes. Football pie all over his face, the German was in tears after the final whistle. A man who couldn’t stop the waterworks any more than he could Real Madrid’s long-range shots. In case you have no idea what I’m talking about and just wanna see a video of Sergio Ramos being a bad guy, Liverpool lost 3-1 to the Spanish side in Kiev, Ukraine. But it’s not all bad news for the guy. 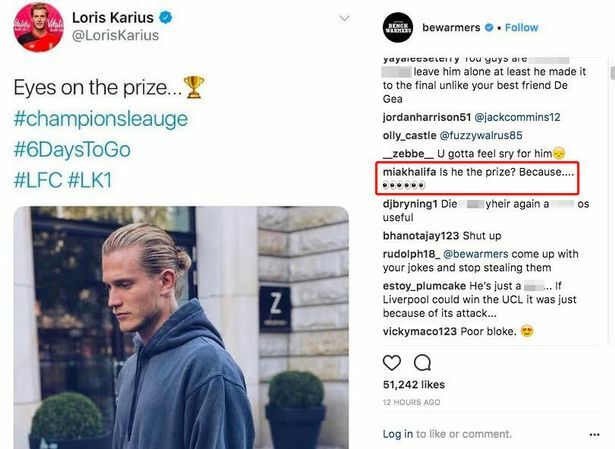 Mia Khalifa has just come out as a Karius fan thanks to an Instagram comment on a Bench Warmers post mocking his shortcomings in the match. Is he the prize? Because…. The flirty comment was followed up with several eye-emojis. I don’t think Saturday night’s travesty is getting in the way of her feelings towards Karius. Hell, she probably agrees the clip of Sergio Ramos lunging for Karius in the box, is proof of his downfall. Keep smiling. Mistakes are human nature. It was a football game. We buy players, we sell players, we do exactly the same like Real Madrid, only maybe a little bit different opportunities but I’m fine with our opportunities. I really think – and it’s not a problem because nobody talks about it anymore – but if things would have been not that bad for us tonight we could have won the game. That’s how it is. We were there, we were here, we did the things we are good in and, if they all stay on the pitch, we don’t make these kinds of mistakes – all if – then we can win the game. But now, things went how they went and we have to accept that, that’s all. Of course it was a big moment in the game. I know if you say something like that after a game you lost, it sounds like you are a little bit a bad loser but it was, for me, kind of a harsh challenge; it’s like wrestling a little bit and it’s unlucky then that Mo fell on his shoulder. It’s a serious injury; worse, a really serious injury. The shock of the boys was obvious, we dropped a little bit deep and Real tried to use that for positive momentum, until we settled a little bit. It was quite difficult but 0-0 at half-time, we could adjust a few things – defending half-spaces, which we did before that really well, and then playing more football. And then the other decisive moments were the goals; they were quite strange, that’s how it is. We all know the result is 3-1 Real Madrid and that’s why we are not in the best mood obviously. Gutting for them. Always next year, though.